Like a police drama, this fast-paced book contains enough surprises to make it difficult to put down. Howard K. Pollack draws from his experience as an attorney to create a winding and complicated story of a young man’s frantic attempt to clear his name and overcome his demons. 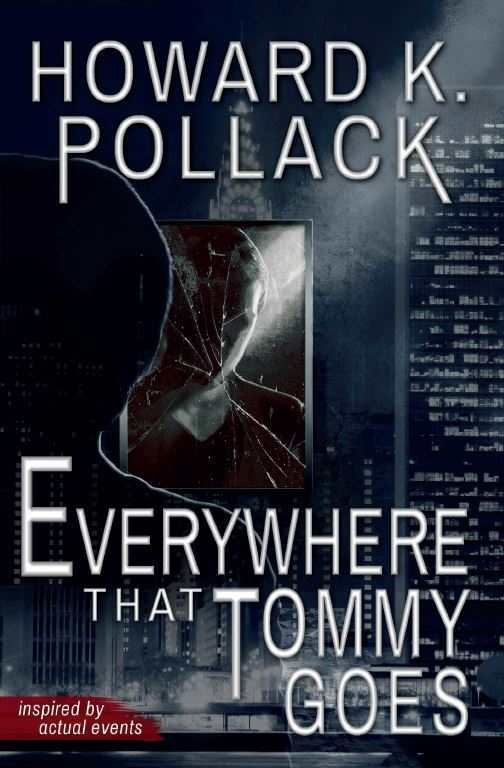 Everywhere That Tommy Goes is a fast-paced thriller that is full of surprises until the final page. Since childhood, Tommy Sullivan has been crippled with migraine headaches that leave him unable to function and even lead to blackouts. After years of suffering, he has finally found an experimental drug that takes the pain away like nothing else. Just as his life is beginning to stabilize, he finds himself on the losing side of a bar fight and is saved at the last minute by the charismatic Troyer Savage, whose good looks and martial arts skills make him everything Tommy wishes he could be. Tommy soon realizes that his new friend is not what he seems, and Troyer’s strange behavior makes Tommy question his sanity. After one too many drinks together, Tommy is left with blood on his hands and nowhere to turn. The more time he spends with Troyer, the deeper he falls into a rabbit hole of terrible crimes and haunting memories from a forgotten past. Extensive exposition gives away some key elements too early. However, this is made up for by an interesting and complicated plot that weaves together a broad history and several story threads, from Tommy’s first kiss to a corrupt doctor with little regard for his patients. The short chapters, some little more than a paragraph in length, echo the staccato cuts of TV police dramas but also cause the narrative to feel choppy and fragmented. Tommy is a complicated and rich character whose realism carries a story that is otherwise populated by some flat supporting roles. The police investigators, lawyers, and Tommy’s friend Aurora are used to propel the narrative, but little time is given to fleshing out their motivations and history to give them real depth. Aurora in particular seems too trusting and too willing to throw away her life for a man she hasn’t seen in twenty years. The plot itself is original, though it contains several clichés, including references to the TV series CSI and the fantastical police investigation techniques it is known for. Despite these criticisms, the book is well written with an approachable style and enough surprises to make it difficult to put down. Everywhere That Tommy Goes is recommended for anyone who loves being pulled along by a story as creepy as it is engaging.